The Mix is the archive of all your saved mixes in Bossa. When you start Bossa the last mix you played automatically starts up again. 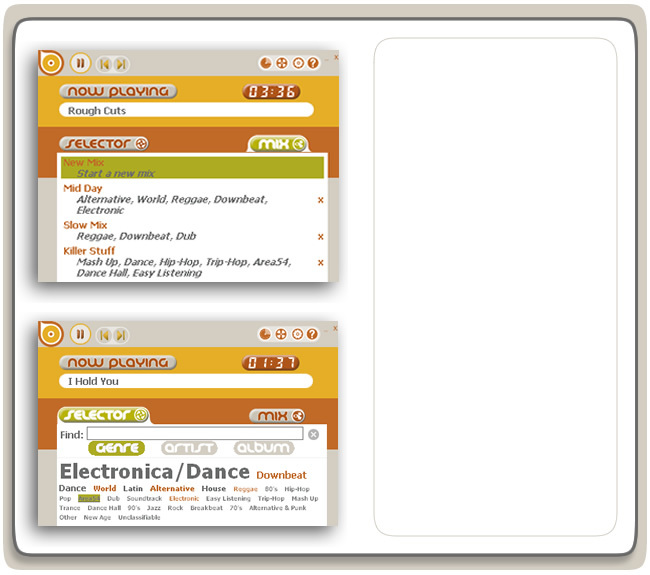 Select a saved Mix to quickly and easily play another one in Bossa. 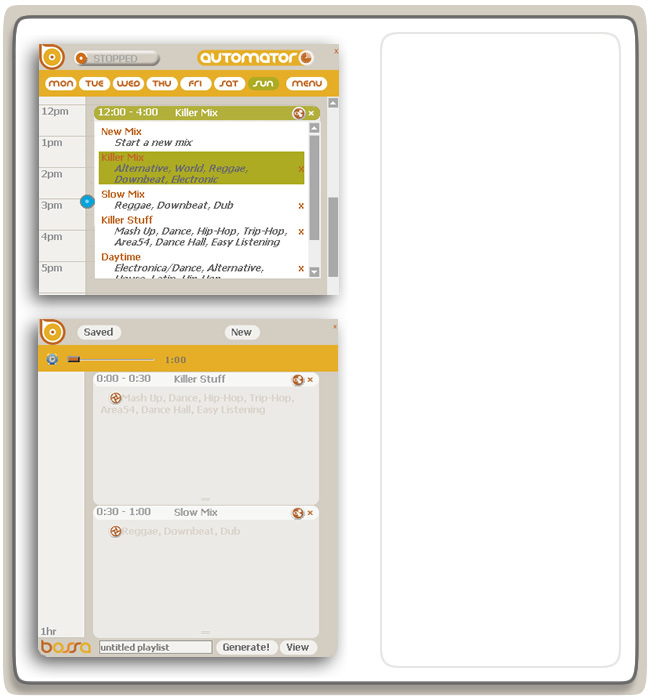 You can also easily Select a mix in the Generator and Automator. Click on Mix and then New Mix (start a new mix). Bossa will automatically default to creating a totally random mix. Now you can create your own mix by adding what you specifically want to hear. Use the Selector to choose which Genre, Artist and Albums you want to place in your mix (See Selector for more information on selecting music. To save the music that you have selected as a mix, click on the label and type in a name for your mix and it’s automatically saved to your mix library. Click on the mix you want to hear and Bossa will automatically cue it up to play next. 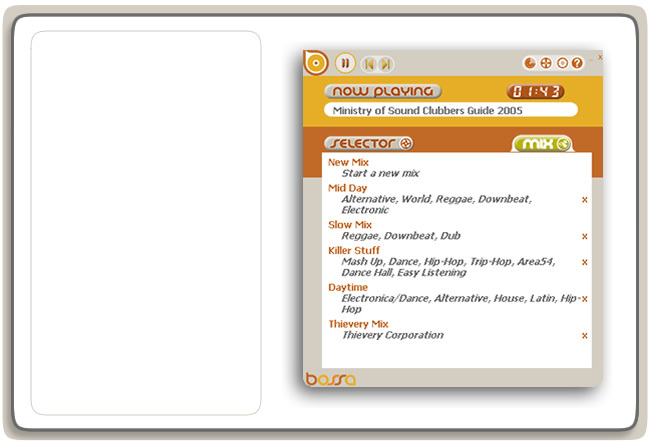 The Bossa player shows which mix is playing in the selector window. In this picture the mix is Totally Random and unnamed. You can see the next 10 upcoming songs underneath the Up Next icon. Click on the mix for easy selection in the Automator or generator. This image shows the mix that is being chosen and will play from 12:00 to 4:00 PM when the Automator is Selected. This image shows the mixes that were selected for the Generator. The Generator will randomly select songs from each of the mixes within the set time.